FOOTBALL IN HIGH HEELS: SUPER BOWL LI RATINGS ARE IN! | FOOTBALL IN HIGH HEELS: SUPER BOWL LI RATINGS ARE IN! SUPER BOWL IN HIGH HEELS: THE KICK OFF WEEK BEGINS! 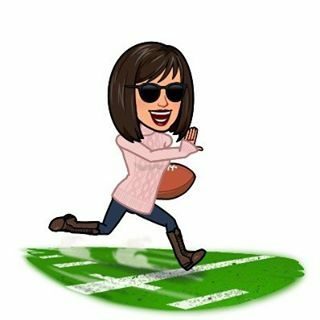 | SUPER BOWL IN HIGH HEELS: THE KICK OFF WEEK BEGINS! FOOTBALL IN HIGH HEELS: CARDINALS VS. PANTHERS…WHO IS IN THE SUPER BOWL? | FOOTBALL IN HIGH HEELS: CARDINALS VS. PANTHERS…WHO IS IN THE SUPER BOWL? FOOTBALL IN HIGH HEELS: BRONCOS VS. PATRIOTS….WHO IS IN THE SUPER BOWL? | FOOTBALL IN HIGH HEELS: BRONCOS VS. PATRIOTS….WHO IS IN THE SUPER BOWL?